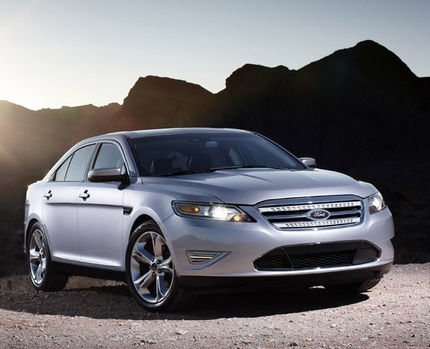 Ford is getting ready to produce the 2010 Taurus SHO, and the engines will be built in the Cleveland area. Ford Motor Co. will restart its Cleveland Engine Plant No. 1 in Brook Park this spring, putting its flagship engine into the 58-year-old facility. “To be part of Ford’s future, we’re thrilled to death,” said Jan Allman, site manager for Ford’s campus in Brook Park. Engine Plant No. 1, which was idled nearly two years ago, will get the engine that Ford has called a key to its future. However, for the next year or two at least, the engine will go into only a few specialty products. That means low volumes, so Ford won’t need a lot of people to produce it. When Ford idled Engine Plant No. 1, it employed nearly 600 workers on two shifts. When the plant reopens in the spring, it will require only 250 workers on one shift. The new SHO made its debut at the Chicago Auto Show. The reborn SHO–the favorite of enthusiasts everywhere since it first was introduced on the first-generation Taurus–completes the new Taurus lineup with twin turbos, a tuned suspension, and some of the visual flair that made the original hotted-up Taurus a hit when it took its bow in 1989. Over the course of ten years, Ford sold about 100,000 Taurus SHO sedans, most with a Yamaha-made V-6 engine, some with V-8s built by Yamaha. This time around, Ford’s brought the engine work in-house, with a twin-turbo edition of the 3.5-liter V-6 that’s taking a place in Ford products like the same-sized six over at Nissan. All that power shunts through all-wheel drive and a six-speed, paddle-shifted automatic. While the 2010 Taurus carries a mid-size price tag of $25,995, the new Taurus SHO checks in at a BMW-like $37,995. How will that go over with Ford fans? We’ll find out this summer when the new SHO goes on sale.Thisis a great move for Ford, as the new SHO looks great.